Jing Hao (荊浩, ca.880-940) spent much of his life in retirement as a farmer in the Taihang Mountains of Shanxi province. 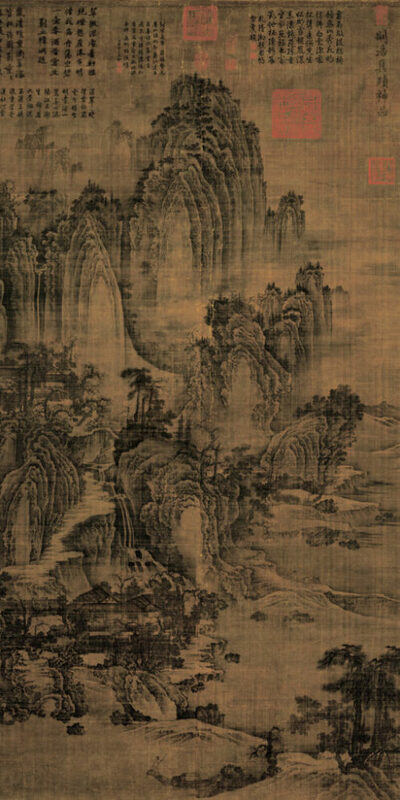 In his art, Jing Hao followed the court painters of the Tang dynasty (618–907) in emphasizing the singular grandeur of the landscape. 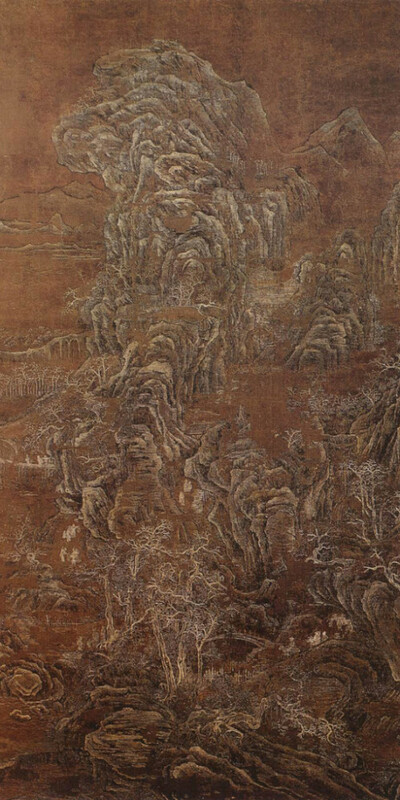 There are two paintings attributed to him: Travelers in a Snowy Landscape and Mount Kuanglu. An essay attributed to him, “Record of Brush Methods (筆法記)”, describes the aims, ideals, and methods of the classical landscape painter who is in harmony with nature. 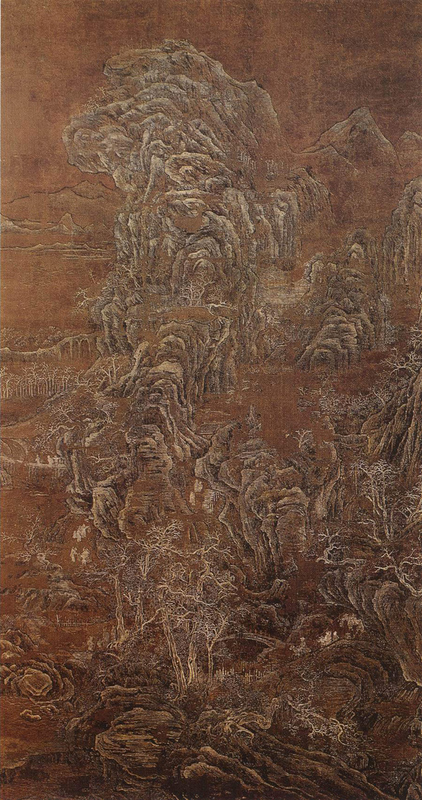 It had considerable influence on the aesthetics of landscape painting in the Song dynasty and in later traditions. Jing Hao’s landscape style, which used bold compositions and crisply drawn lines to depict precipitous mountain crags, contrasted with the softer and more atmospheric effects favored by artists in southern China. Jing Hao is said to have been the teacher of Guan Tong (關仝), who was in turn followed by another famous master, Li Cheng (李成). These three artists are among the first distinctive masters of the school of monumental landscape painting that came to maturity in the Northern Song period.